Happy ending home loan scheme: Little to be happy about! In a country like India we love our celebrities and thus when they endorse anything from a toothpaste to a shampoo we seldom give much thought before we shift our brand loyalty from our trusted FMCG products! But would you be convinced to take a home loan product too, just because a popular film star is endorsing it? Much loved screen diva Deepika Padukone has recently made an appearance in an advertisement as the brand ambassador of Axis Bank. In the TV commercial, She is shown taking questions from journalists who ask her questions about why chose to endorse a bank and she quite matter of factly says that “It’s easy to endorse the truth!”, and in cleverly weaved ad lib she speaks about how she got a friend to sign up for a great home loan product that waives of the last 12 EMIs to reward a customer who pays her EMIs regularly. While our lovely leggy lady and the actor playing the journalist seem suitably impressed, what Ms Padukone doesn’t tell you that this “innovative home loan product” that goes by the name of “Happy Ending home loan scheme ” comes with quite a few riders making it the proverbial carrot that dangles in front of the borrower. Here are some details about this “Oh, so great home loan!” that you should consider before you think that this is best product you can opt for. The biggest catch of this product is that it is applicable to loans which have a tenure of at least 20 years. So if your age is 40 years or above, you will automatically be disqualified for this product as banks assume that you will retire by the age of 58 and your last EMI should not extend beyond it. It is made very clear uprfront by the bank that to avail of this loan scheme you have to make “regular EMI payments”, else you will not be eligible for the benefits . This means, you are given the leeway to delay the payment by 30 days from the stipulated date of payment for a maximum of three instances during the tenure of the loan. However if the delay exceeds 90 days over the entire tenure of the loan, you may still get disqualified. You need to keep this loan with Axis Bank for a tenure of at least 15 years to get your last 12 EMIs waived. 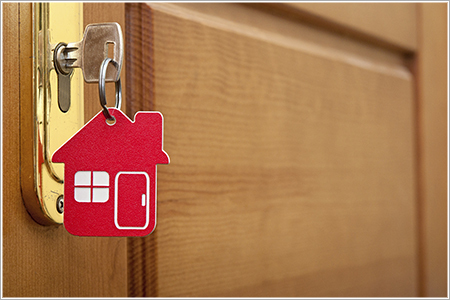 If you choose to pre-close your loan, you will not be eligible for any such benefit. Empirical evidence suggests that in India half of the home loans are closed at 10 years and 90% of home loans are completely paid off before 15 years. This essentially means that unless you intentionally keep the home loan active for 15 years you will not get the promised benefit. Under this product, you will not be allowed to make any changes in your EMI cycle. It remains fixed at the 5th of each month. Besides, you are not allowed any other flexibility, such as changing your EMI component (like paying a higher EMI if you get a substantial hike in your salary). You can however make part payment if you wish as long as your loan tenure remains at least 15 years. You are not allowed to avail any other benefits that may be offered to you by the builder or developer. For instance, some builders under a subvention scheme may offer to pay the interest component on the loan for 12 months.If you have entered into any such agreement with your developer you are not eligible for a waiver under this scheme. The principal outstanding amount (excluding interest component) of the last 12 EMIs. The sum total of the 12 EMIs calculated at the time of disbursement. You must also bear in mind that even if your loan tenure is 15 years you will only get the benefit of the 12 EMIs being waived after the completion of 12 months from the 15th year. This effectively means that your loan tenure has to be at least 16 years. It might well be said that Axis Bank that had introduced this product about two years back is pushing it once again through its newly appointed brand ambassador and in effect trying to ensure customer loyalty. The bank is also trying to ensure that there is a low probability of an EMI default. Of course it does not say so directly! Instead you are told that “good customer behavior” by paying regular EMIs will be rewarded by the bank and in turn, you can ensure that you keep a good Cibil score. Therefore, it will not be wrong to conclude by saying that this product will only benefit young borrowers who are planning to opt for a longer tenure loan of 20-30 years. So unless you are in your 20’s and planning to buy a property for the long term, don’t be too impressed with what a sassy Ms Padukone hasto say about the Happy ending home loan scheme from Axis Bank. After all, deciding to take a home loan is not as easy as buying toothpaste, and the experience may not turn out to be as happy after all!